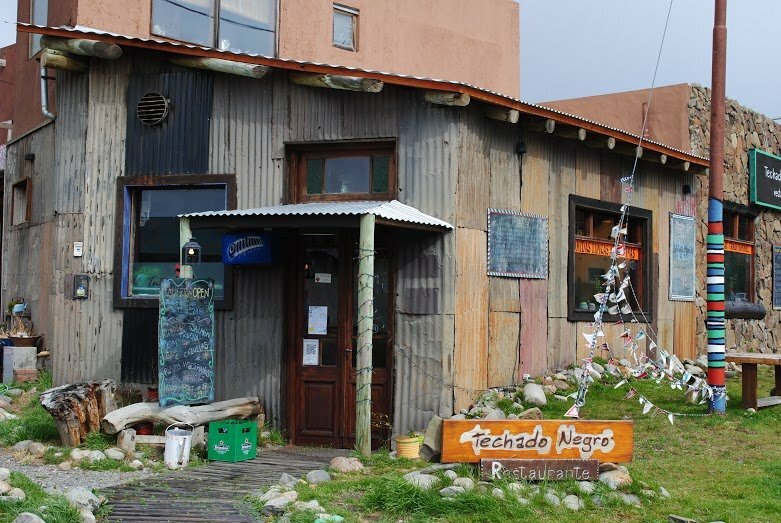 Of all the places I stayed in Chalten on my recent trip this place had the friendliest staff. 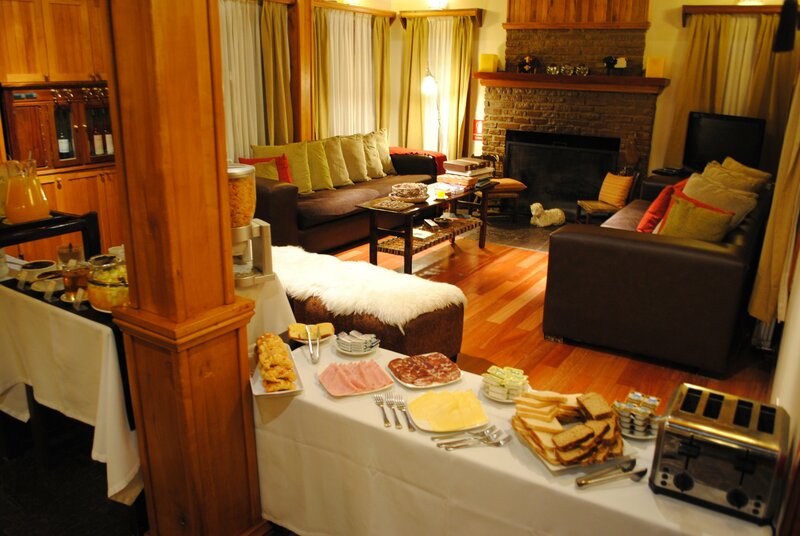 You are greeted by beaming smiles and the reception/dining area is stylish with large sofas to lounge and large windows. The interior is all made of varnished wood and this hotel definitely feels stylish. After this excellent intro the rooms actually feel quite small. 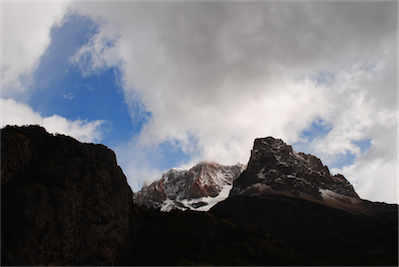 My room was in the eaves of the hotel and had views of Fitzroy and Cerro Solo (and would have had views of Torre). Once again the varnished wood interior gave a stylish feel and there were plenty of lights, sockets and functional furnishings such as drawers, hangers, a large side storage area under the window made good use of the small space. 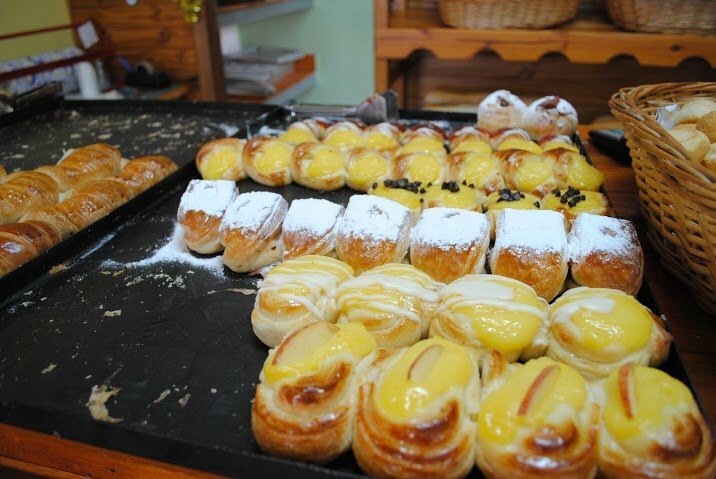 The breakfast was a huge buffet with fresh fruit salad, an array of cheeses and meats, croissant, breads and cereals. 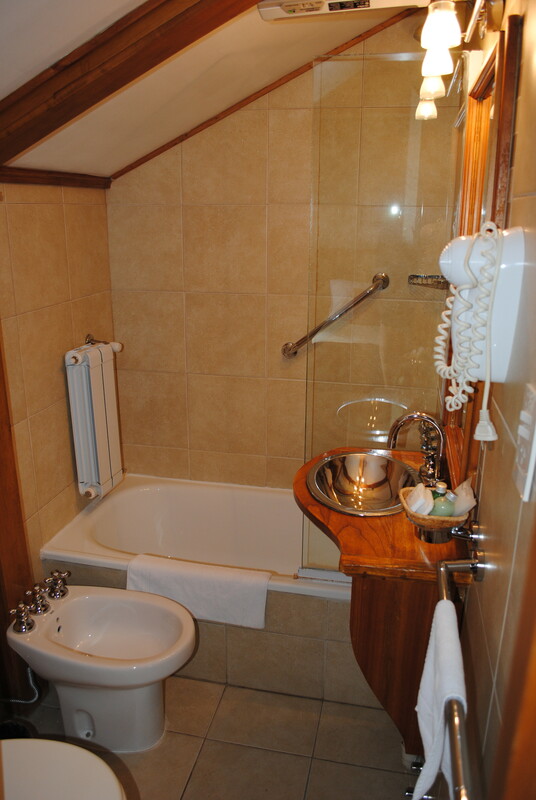 My only complaint would be the poky bathroom. 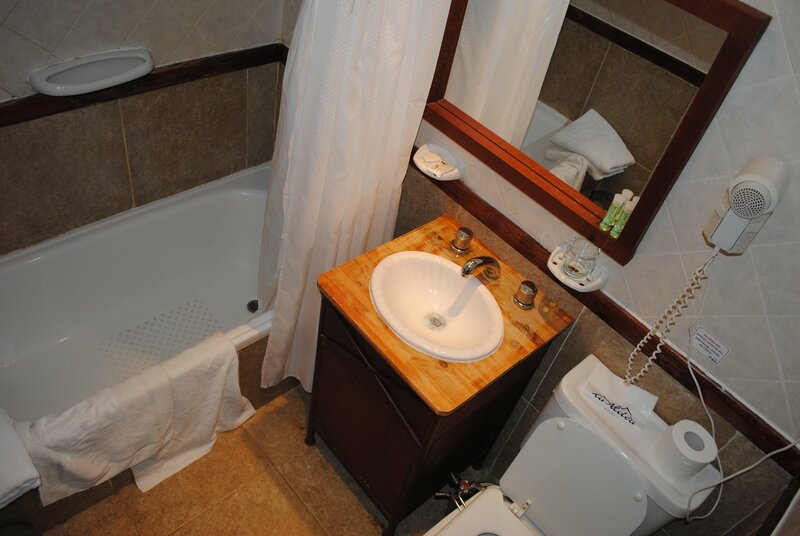 Although the shower was hot and powerful it was quite a small space to shower in and if you were any taller it would be uncomfortable. 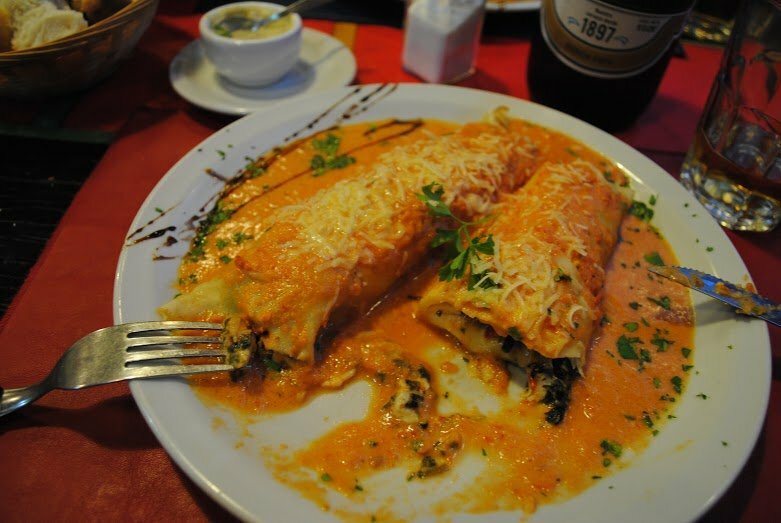 Top Tip – Eat at their wonderful restaurant. 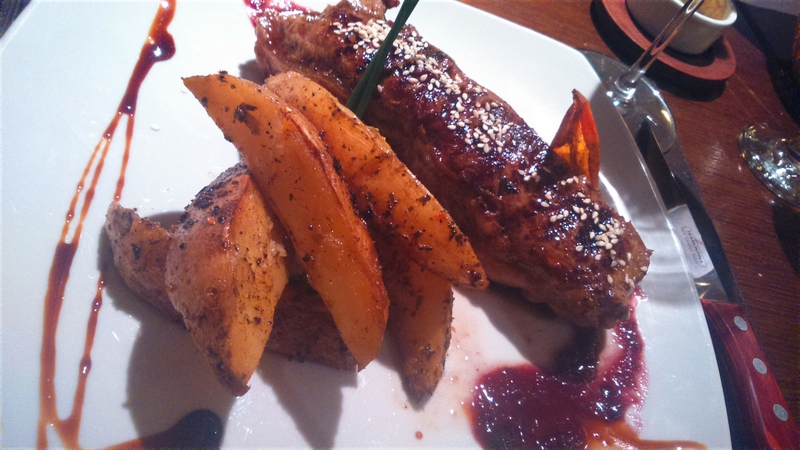 I ate in the restaurant in the evening and the food was excellent. 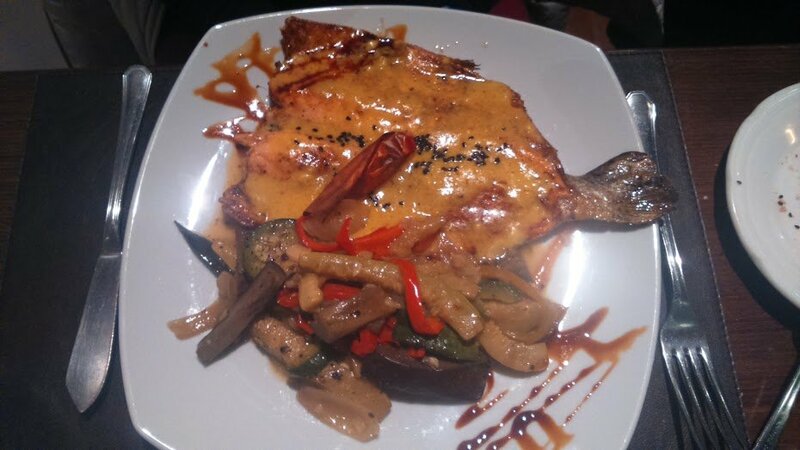 The waiter went out of his way to be accommodating. 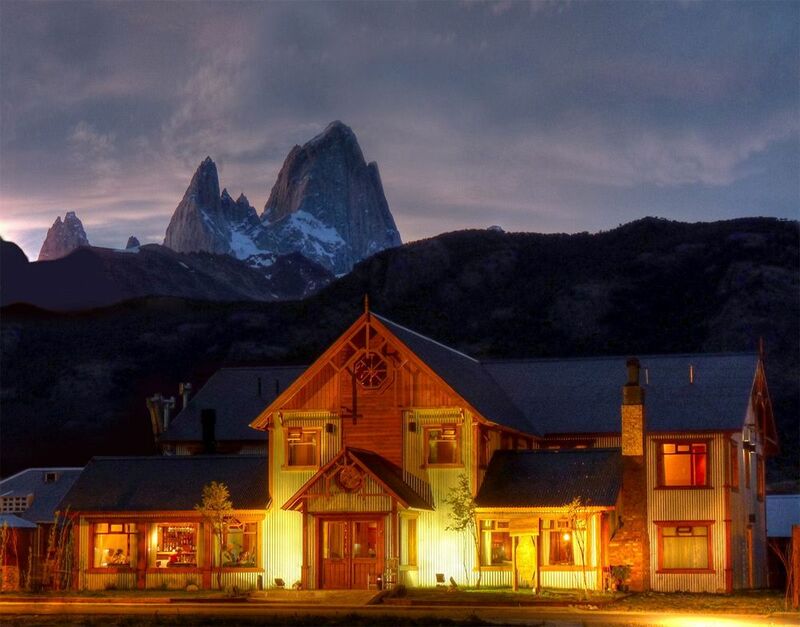 This entry was posted in Hotels, Reviews, Travel Tips and tagged Chalten, FitzRoy, Hosteria Senderos, Hotel, patagonia on 20th July 2015 by Luke Errington. 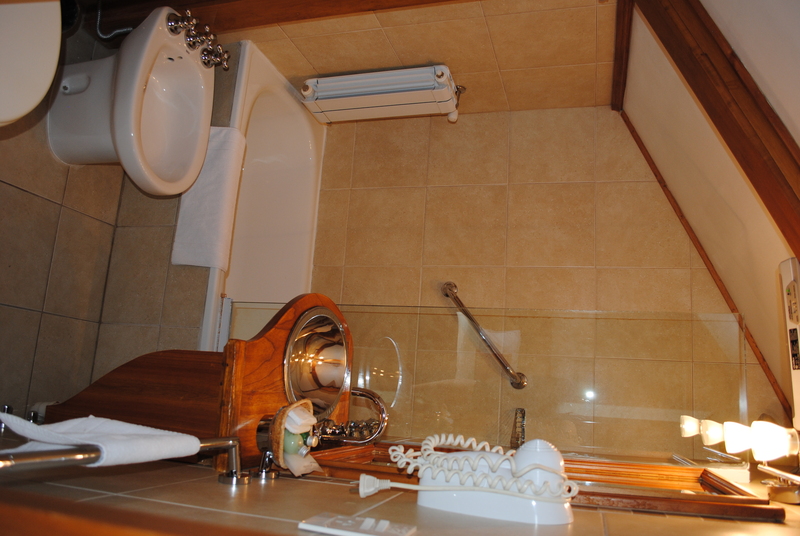 Kaulem is a cosy hotel with just 4 rooms set around a spacious sitting room and dining area. It feels more like a house than a hotel and the reception staff will make you feel instantly welcome. 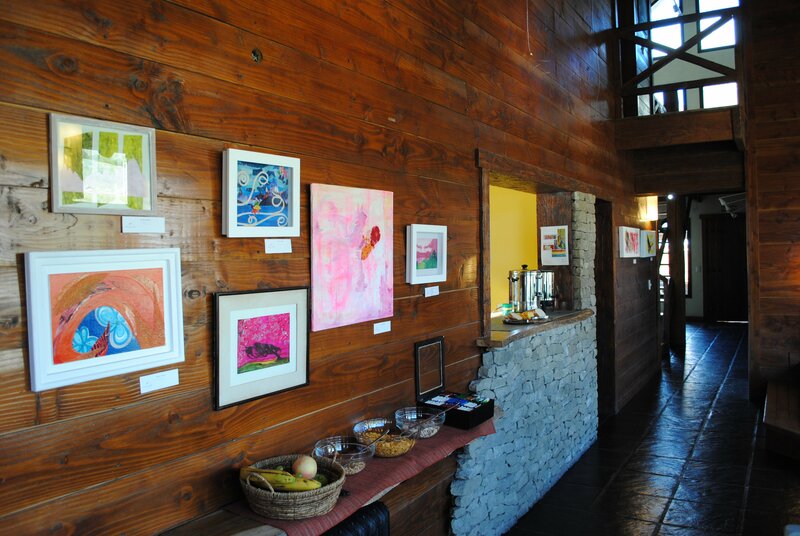 The art of local artists hangs on the walls and the cosy setting means that you will easily make friends with your fellow guests. 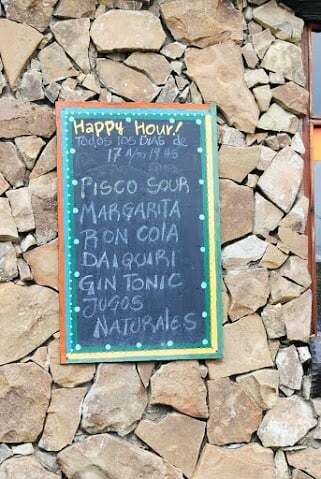 In the morning, I drew back the curtain to views of Cerro Fitzroy and then sat guzzling my yoghurt with fruit and granola from the breakfast bar gazing at ‘Fitz’. Eggs and toast and a range of spreads were also available. 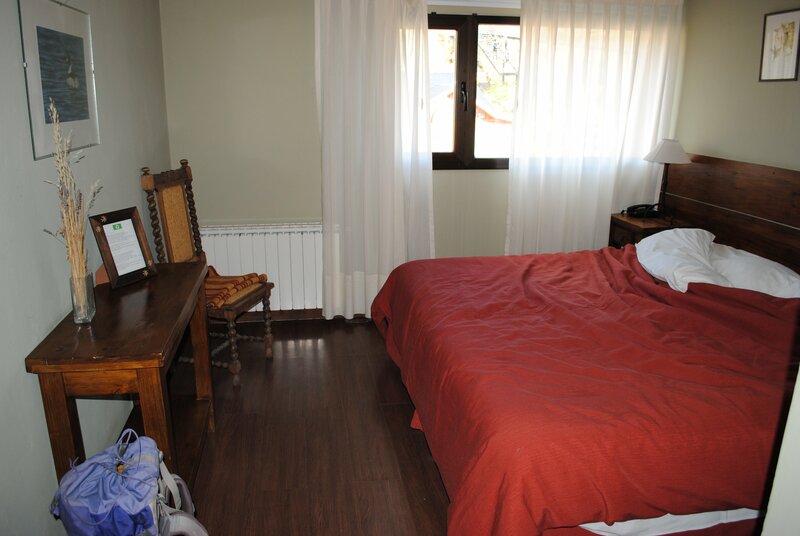 My room accommodated a king size bed without feeling too snug but was not overly spacious. The ceilings rise up to the eaves of the building and give the room more breathing space and there are photos of local wildlife on the walls. 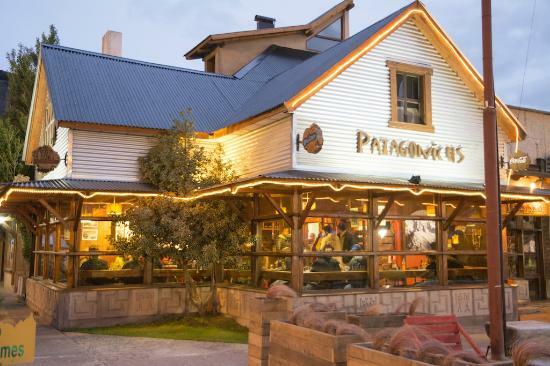 This entry was posted in Hotels, Reviews, Travel Tips and tagged Chalten, Hotel Review, Kaulem Hosteria, patagonia on 16th July 2015 by Luke Errington. 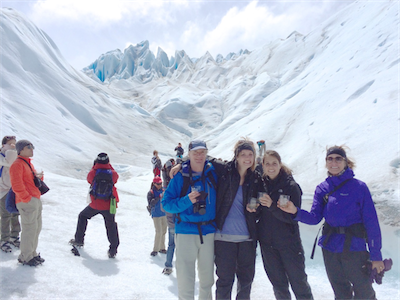 Our family of 4 recently returned from a truly awesome trip to Patagonia organised by Sally at Swoop Patagonia. 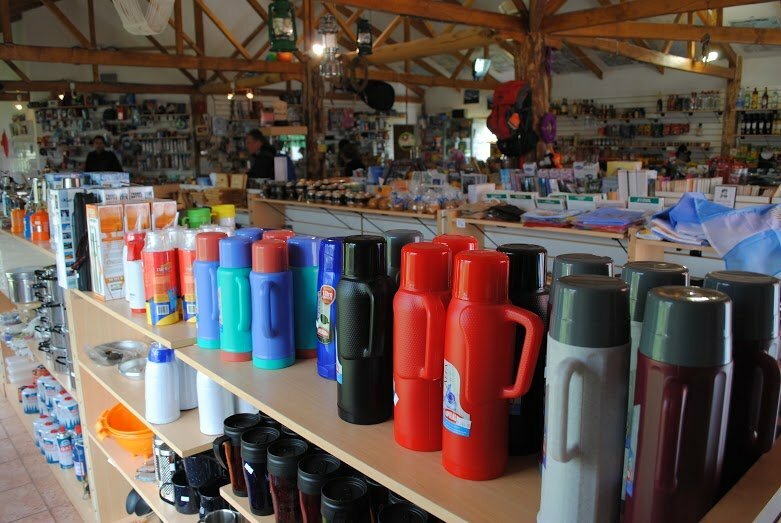 I typically am the trip organiser for our family, and usually eschew travel agents. Thank goodness I was lured to Swoop Patagonia because the trip would not have happened without them, or at least it would not have been the fantastic trip that it was. 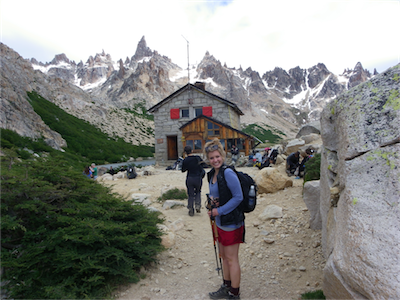 Sally was unbelievably helpful and responsive and so very knowledgable about Patagonia. In the early stages, we Skyped and swapped innumerable emails and she patiently and competently figured out what kind of trip we were dreaming of and put all of the pieces in place. 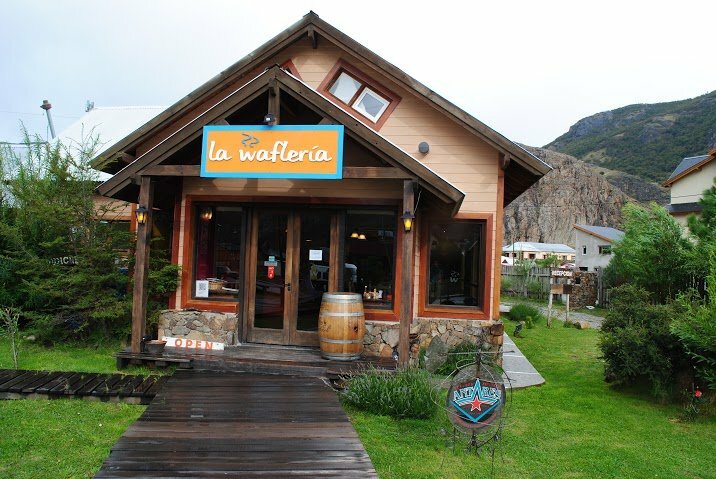 We spent time in El Chalten, El Calafate and in the Bariloche area. 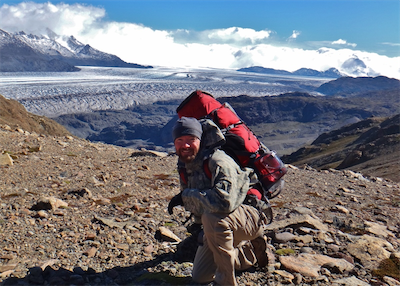 Our hikes (both guided and independent) were among the most jaw-droppingly beautiful we have ever experienced (and this is compared to Bhutan, New Zealand, and many places in the US). 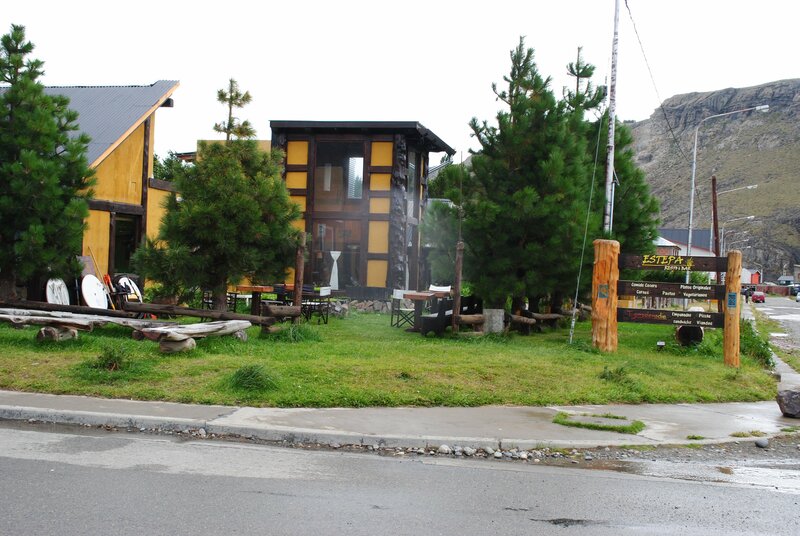 The accommodations in El Calafate, El Chalten, and Bariloche were locally run, extremely comfortable and brimming with friendly people. 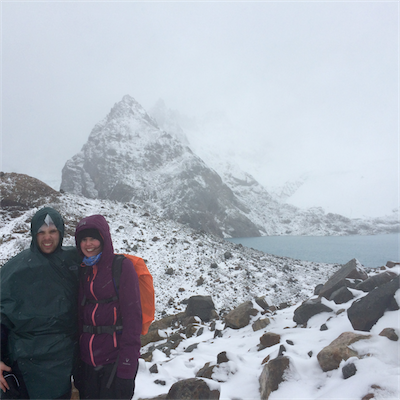 Sally worked with local operators to ensure that ALL of the details were covered, ranging from delicious box lunches for our hikes, to numerous transfers to and from airports, trailheads etc. The pre-trip information that Sally sent us was extensive and very well documented (e.g. 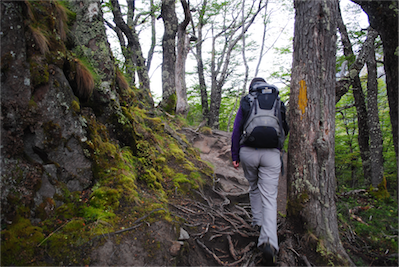 packing list for hiking, suggestions for our time in Buenos Aires, specifics of domestic flights, transfers etc etc.). Sally also quickly answered questions that arose during the trip (eg. How much should I tip?) 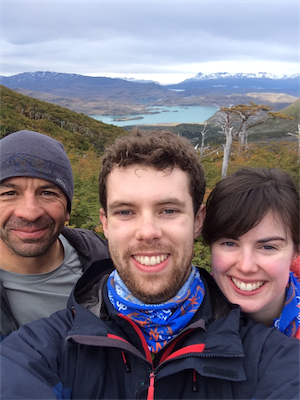 and yesterday we Skyped for close to an hour reliving our trip and going over all the details AND fantasising about future trips to Patagonia. We particularly appreciated all of the transfers that you arranged for us- I am not used to arriving at an airport and seeing a sign with my name on it and a friend driver to whisk me to my destination! I kept waiting for the time that the person would not show up, or some such, but it never happened! 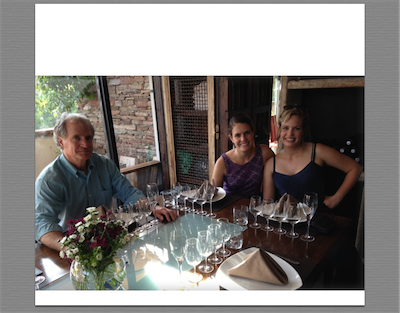 I could not be more pleased and grateful for the amazing service and family trip of a lifetime! THANK YOU! 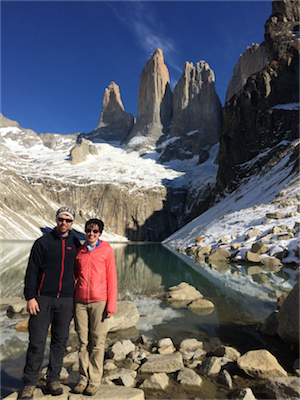 The trip began in Buenos Aires, from where the family flew on to El Chalten in Los Glaciares National Park, for three days of guided and independent day hikes in the region. 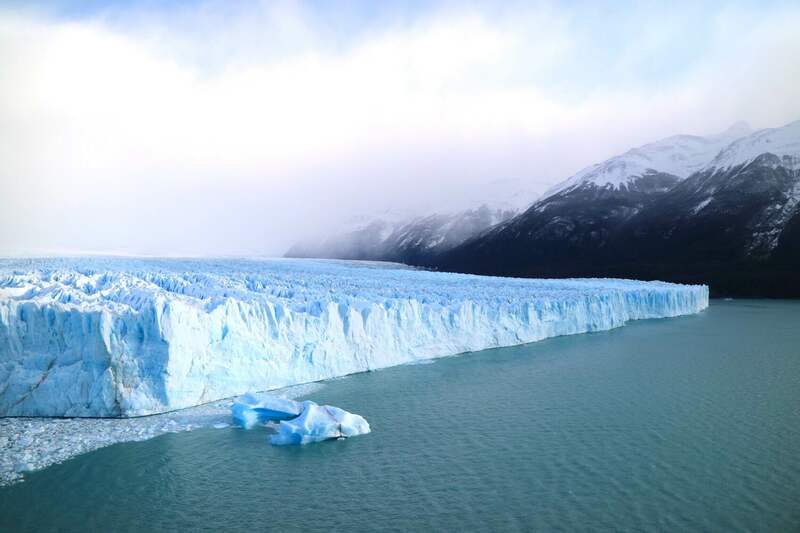 They then travelled back to El Calafate for a day excursion to the Perito Moreno Glacier, which included a 1.5 hours ice hike, a boat excursion to the face of the glacier, and an hour on the viewing platforms in front of the glacier. 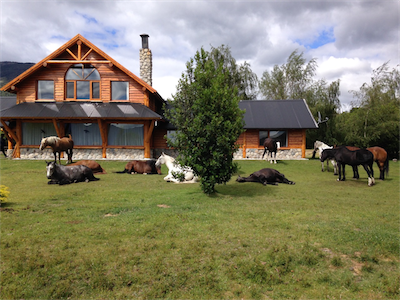 The next stop was Peuma Hue, a luxury eco-lodge at the heart of the Argentine Lake District, blended into 500 acres of national park, 2 miles of lakeshore, pristine forest, mountains, rolling hills, waterfalls and creeks, all just 25 minutes from Bariloche. 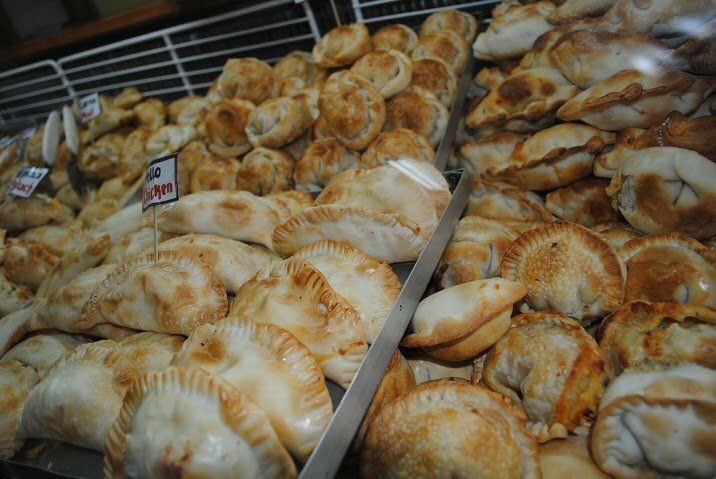 The trip ended with three days in Buenos Aires, where the family spent time exploring the city. Thank you again for making this dream trip come true! 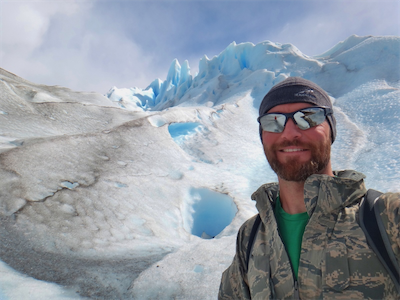 This entry was posted in Los Glaciares, Reviews and tagged accommodation, Argentina, Bariloche, Buenos_Aires, Chalten, El Calafate, Guides, peuma_hue, Walk Patagonia on 17th April 2015 by Luke Errington. 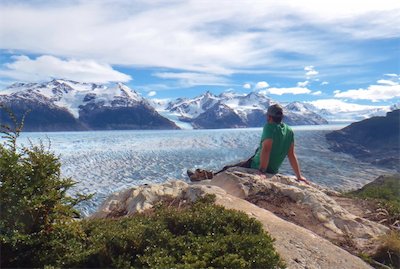 Harriet from Swoop recently returned from El Chalten where she checked out the Los Huemules Reserve, a private 5,800 hectare reserve, to the North of Chalten and bordering the Los Glaciares National Park. 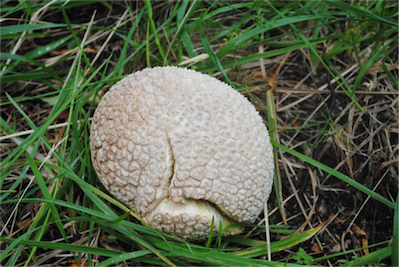 It was created 15 years ago to preserve the ecology of this area and protect it from development. 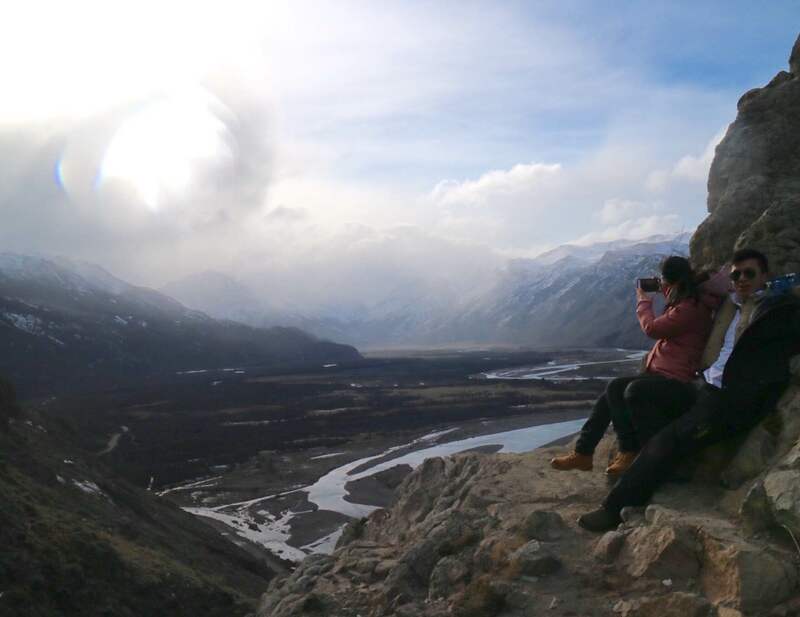 Experts were brought in to assess the ecology, geology, flora and fauna of the park and help develop a reserve that would highlight the beauty of the reserve whilst helping to preserve it. Some areas have been urbanised, 90 lots have been sold and on 11 of those, houses have been built. 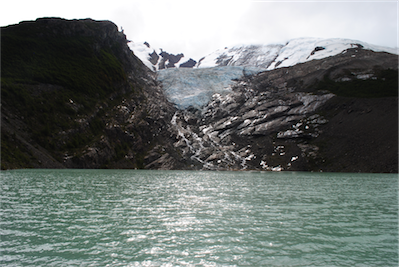 Sustainability is very important so water is brought down from Laguna Azul to supply the buildings and a hydro-plant powers them. 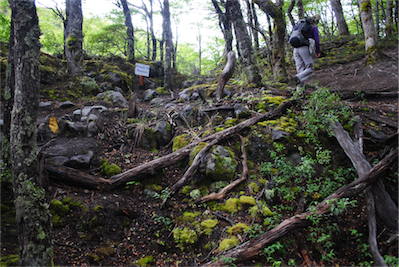 A series of trails of different difficulties have been developed so that tourists can do a number of hikes. The rest of the park has been left to grow wild and hopefully the Huemules, foxes, Magellanic woodpeckers, condors and puma will find sanctuary there. 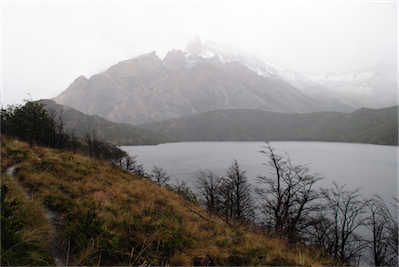 Although the trails will not get the spectacular views that you will get from Laguna de Los Tres and Laguna Torre, these hikes are special because of their solitude, exploratory nature, the pristine landscape and diversity of species within the reserve through which they pass. 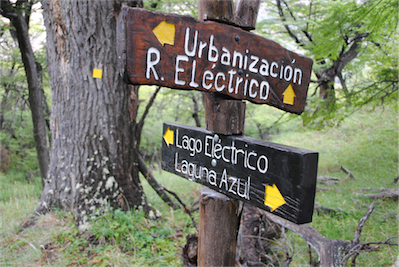 …we headed to Los Huemules Reserve. 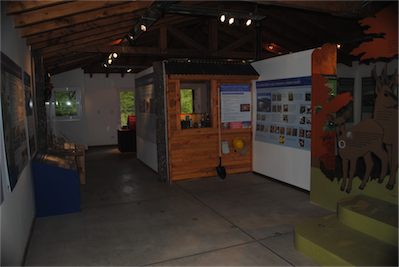 There is an interpretation centre, and the park rangers passionately told us all about the project. 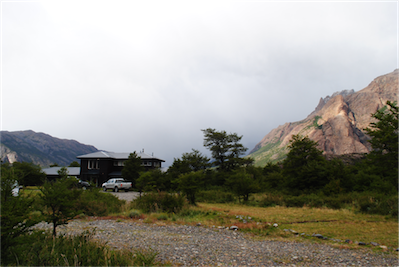 …with views of Cerro Electrico…. 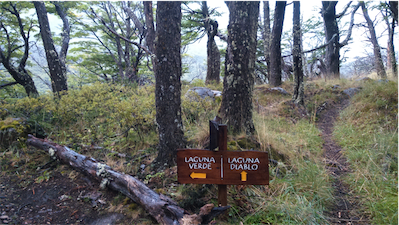 …half expecting a Huemul to jump out! The mountains cleared for a moment but sadly it didn’t last and tghe rains returned, so we head on home. 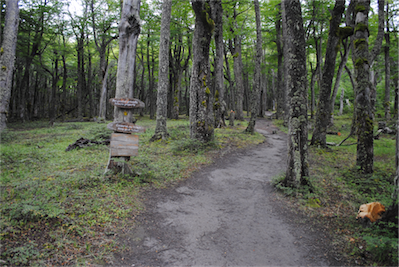 In order to reach the Los Huemules Reserve you will need to take a transfer from Chalten, it is a good idea to base yourself near the reserve for a couple of nights in order to thoroughly explore the trails. 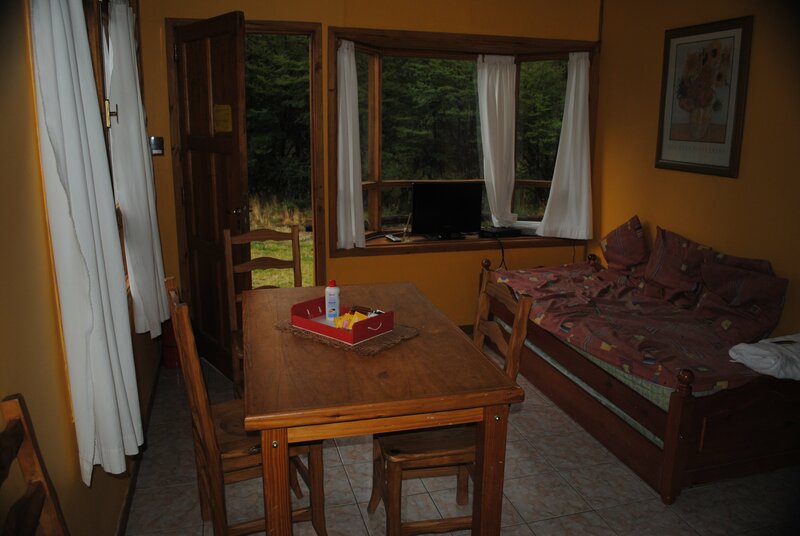 There are a cabañas, hotels and camping nearby so do let us know what you are looking for and we can check availability for you. 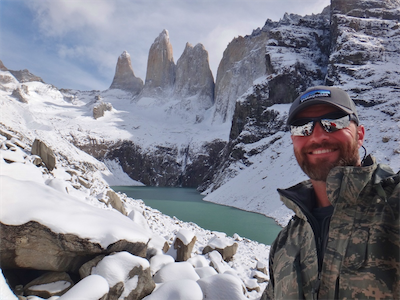 This is a great option if you have time in Chalten and want to access some remoter areas without getting completely off the beaten track. 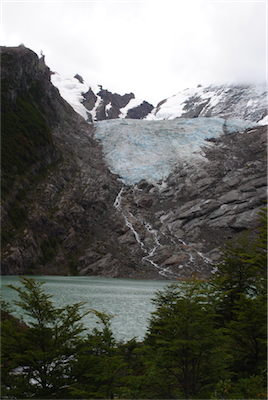 This entry was posted in Los Glaciares, Reviews and tagged accommodation, Chalten, Hiking, Los_Glaciares, Los_Huemules, wildlife on 15th April 2015 by Harriet Pike. 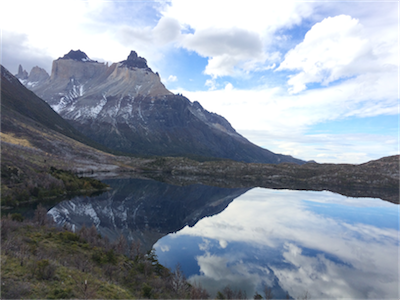 Harriet from Swoop recently returned from El Chalten where she checked out a short hike that is great for people with half a day free to explore, or for those who do not want something a little easier. 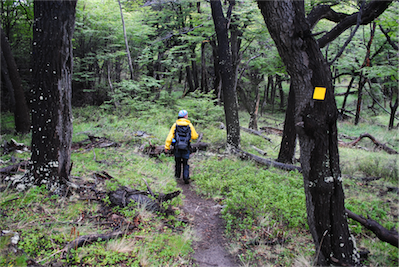 You climb for 30 mins to 1 hour through beautiful Lenga Forest to the Lago Huemul and hanging glacier Huemul. Allow 1-2hours for the whole hike. 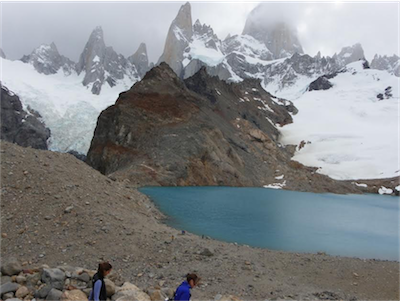 This mini-hike makes a great day out when combined with a boat ride on Lago del Desierto on which you will get views of Mount Fitzroy from afar and the Vespignani glacier from close up. 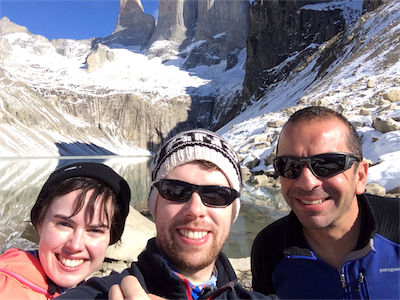 Alternatively hire a bike, get driven out to Lago del Desiero, complete the hike and get blown/pedal back to Chalten. 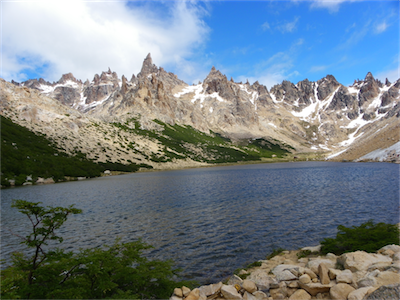 Please ask for more information about this hike and other activities near Lago del Desierto. 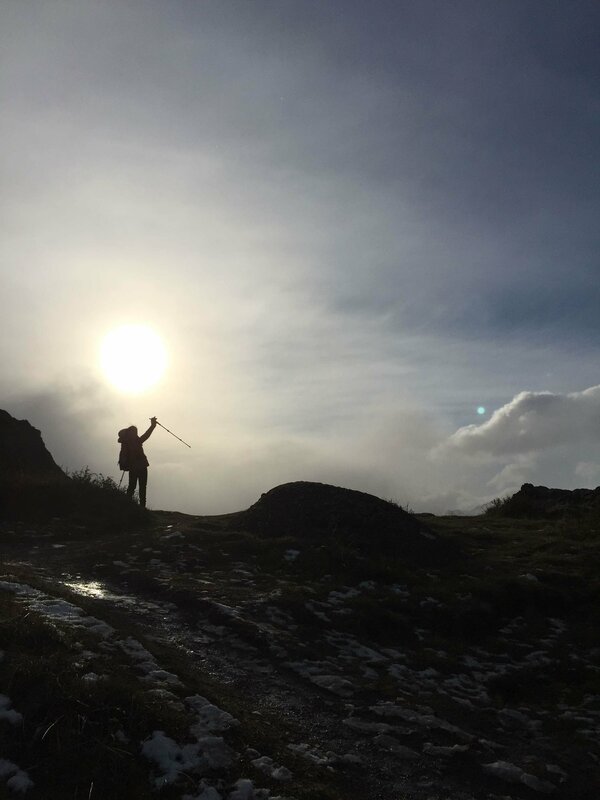 Here Harriet takes you on the mini-hike with her to show you the way……. 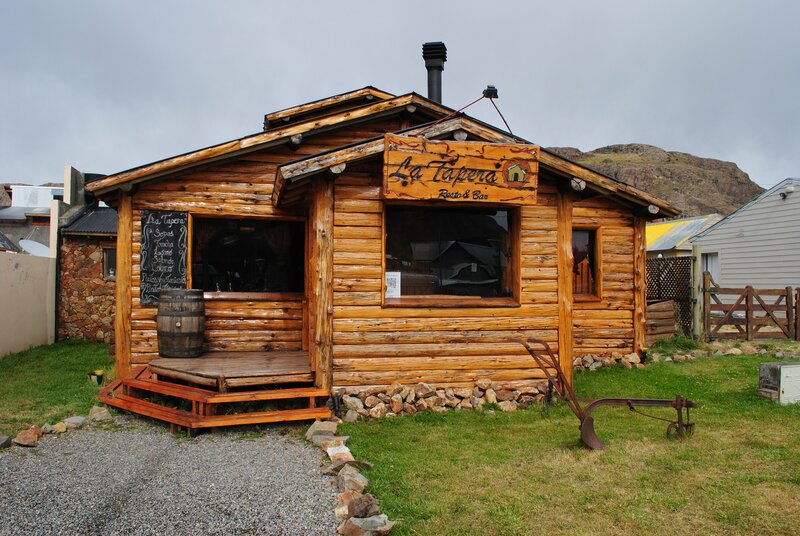 …just 37km from Chalten at the end of the road on the banks of Lago del Desierto. …where the roots of the Lenga create a staircase for you to climb. 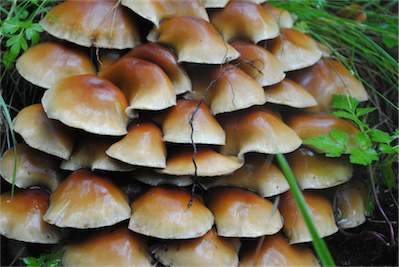 After just 30 minutes we emerged from the forest (although this may take a little longer as we were going quite fast!). 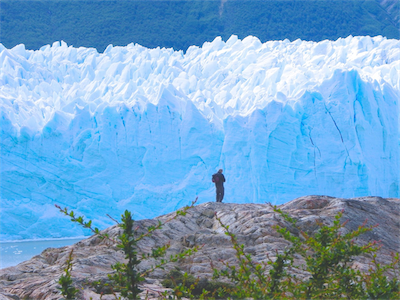 …and we reached Lago Huemul. 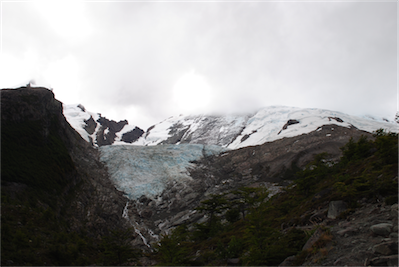 …and enjoyed the views of the Glacier. 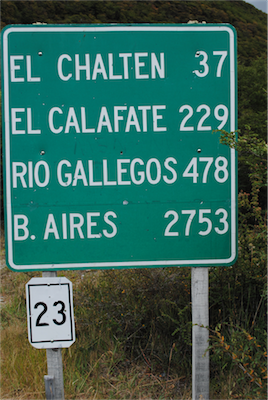 This trailhead is 37km from Chalten so take a transfer from Chalten. 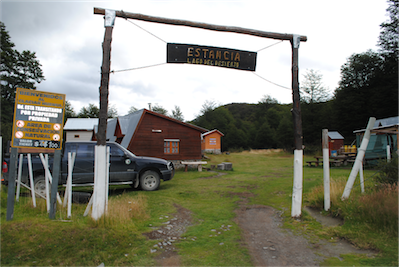 There is an entrance fee of ARS$100 to enter the Estancia and climb to Lago Huemul. 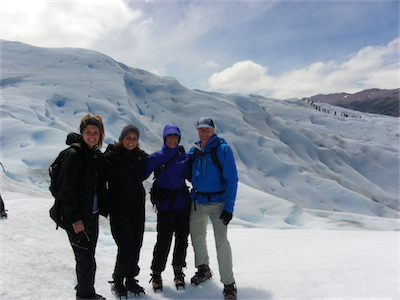 This entry was posted in Los Glaciares, Reviews and tagged Chalten, Glacier, Hiking, Los_Glaciares on 15th April 2015 by Harriet Pike. Thanks for all the help leading up to my trip. It was a fantastic journey and Swoop’s assistance was a great part of making it a success. You guys were fantastic. 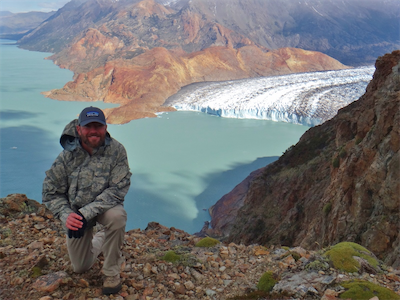 Patagonia is such a big area and it’s kind of intimidating to begin the planning process. But with Swoop’s help, I was able to put a solid travel plan together with ease. 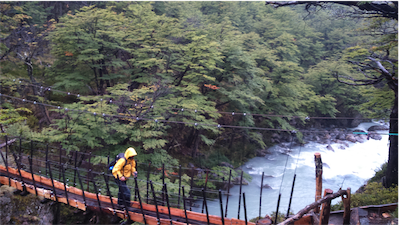 I’d say the biggest thing I appreciated was you getting me started with ideas and connecting me with reputable companies in Patagonia. It was like working with a friend who just got back from her own trip. 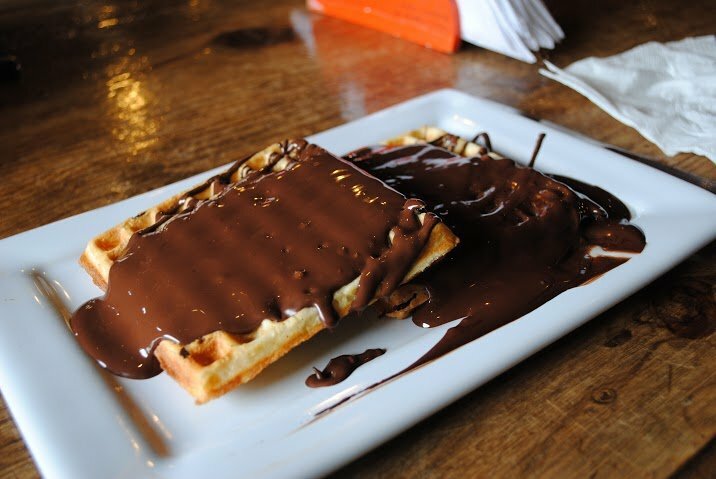 How were Swoop’s partners who supported you in Chile and Argentina? 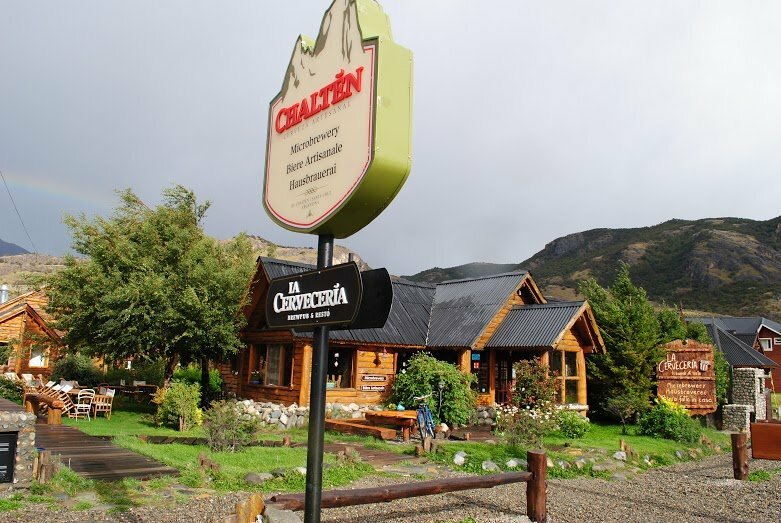 Zoe in El Chalten was amazingly helpful with bus transportation, hiking planning, and just offering advice on how to get the most out of the area. 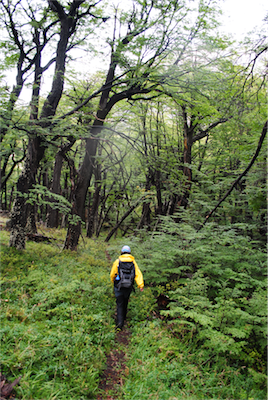 And my guide for the Huemul Circuit, Pablo, was incredible. He was professional, knowledgeable, and helpful in every way. That trek would’ve been much less enjoyable without him guiding us along. 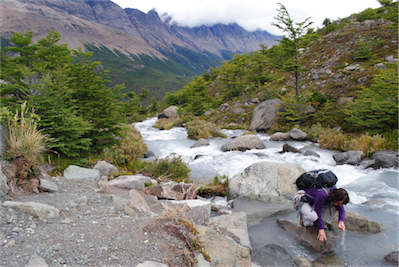 Similarly, Julieta, my guide for the Torres del Paine Full Circuit trek made that experience greatly enjoyable. She did so many little things, like having her friends make brownies and granola bars for us, that really made the adventure special. I didn’t work with your Chilean partners’ office folks as much, but they were very friendly and helpful when I did interact with them. 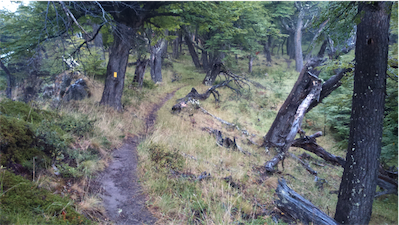 The highlight of the trip was the Huemul trek. It was more of a back-country adventure, which I really enjoyed. 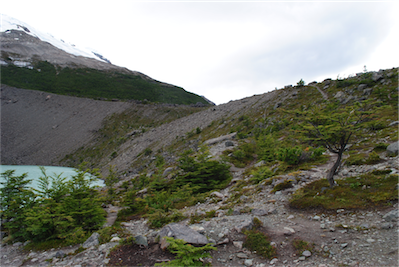 We pretty much had the trail to ourselves and the terrain was varied and challenging. 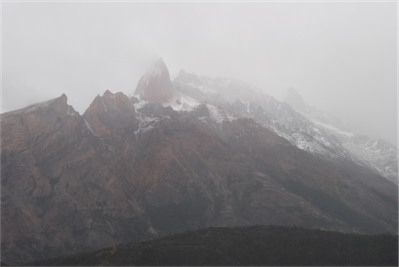 Plus, the scenery, while perhaps not as famous as Torres del Paine, was still iconic Patagonia. I got pretty lucky with the weather, so I was able to get some great shots! 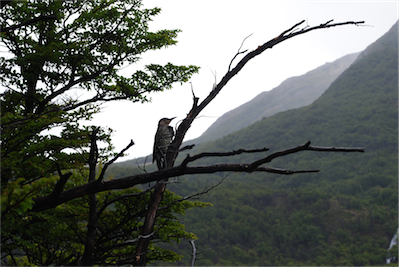 I did make it down to Ushuaia and Tierra del Fuego and I would say that area is not quite as magical. 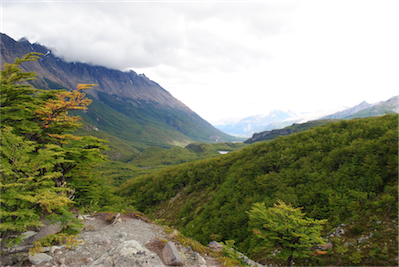 The hike up Cerro Guanaco in Tierra del Fuego national park was as challenging as any day of hiking I did in Patagonia and offered incredible sights from the top. But other than that, nothing else in that part of the area really amazed me. 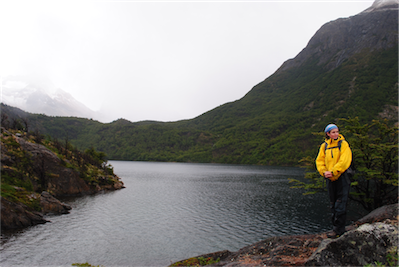 I suppose part of this could be that I visited Ushuaia after seeing the rest of Patagonia, so maybe I’d recommend people start in Ushuaia and then head elsewhere. Thanks again for all your help! If there are any websites where I can brag about you guys, let me know. 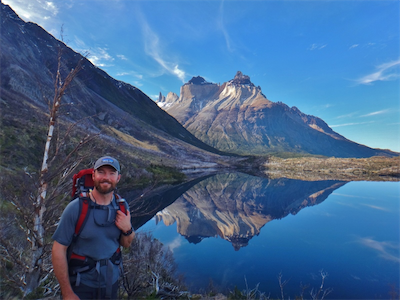 This entry was posted in Los Glaciares, Reviews, Torres del Paine and tagged Chalten, chile_nativo, Full_Circuit, Guides, Hiking, Huemul Circuit, Los_Glaciares, Tips, Torres_del_Paine, Walk Patagonia, weather on 13th April 2015 by Luke Errington.